Amazon.ca has unveiled the all-new Kindle Oasis, the company’s newest e-reader. 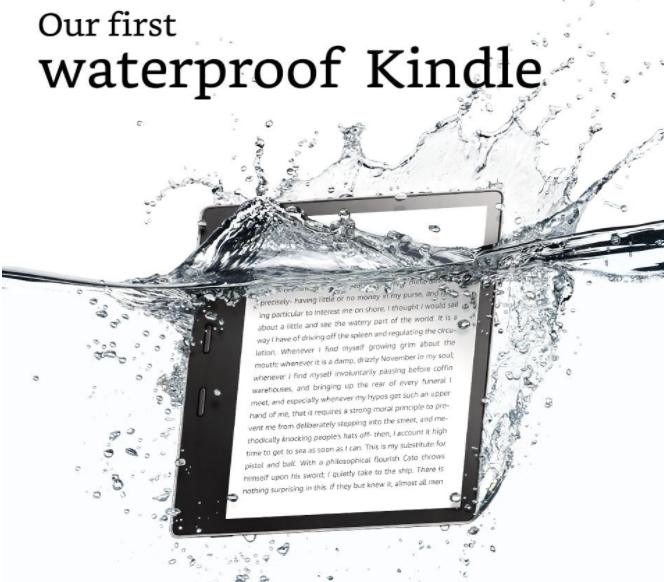 This new Kindle comes with a 7-inch display and also is the first waterproof model introduced by Amazon. 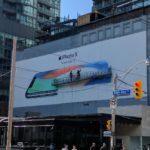 The new 7-inch touchscreen display makes it the largest screen ever for a Kindle, plus the IPX8 water resistance rating means it can be submerged in up to two metres of fresh water for up to an hour. This makes it particularly interesting for those who like to take their Kindles to the beach or the pool. Amazon says the Kindle Oasis is faster, and now fits “over 30 per cent more words” per page, leading to less page turns. Even with a larger display, it is still lighter than their best-selling Kindle Paperwhite, weighing only 194 grams. The new Oasis also supports audiobooks, allowing you to connect Bluetooth headphones or speakers to listen to your books wherever you are. 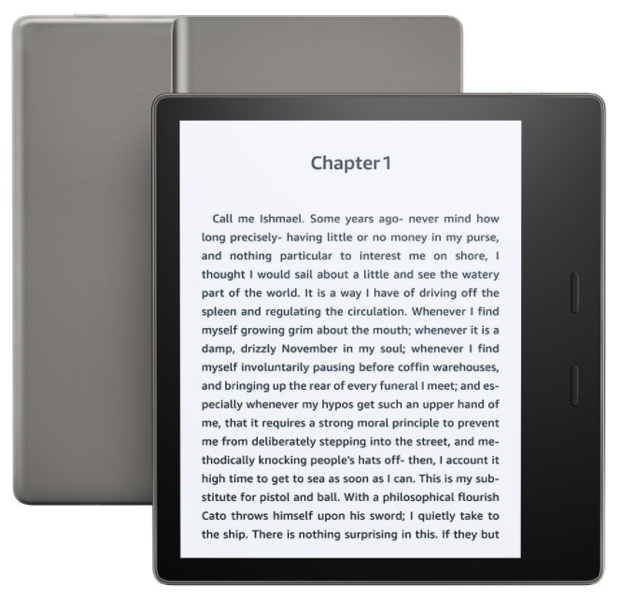 The Kindle Oasis also features fast-charging (full charge in less than 2 hours), comes in 8GB or 32GB storage options, includes new font sizes and bold settings, has ambient light sensors to automatically adjust display brightness (12 front-lit LEDs versus 6 on the Voyage), plus new Accessibility Options (invert black and white). New covers are also available in water-safe fabric at $54.99 (Indigo, Sandstone, or Charcoal) and premium leather covers at $69.99 (Midnight, Saddle Tan, or Merlot). The Kindle Oasis is available for pre-order in Canada on Amazon.ca for $389.99, with the device ready for shipping on October 31. The 32GB capacity is only available in a cellular model at $489.99.